All of us love to play games on our Android and Apple Phones of Sports, Action, Puzzles but what about a political game? 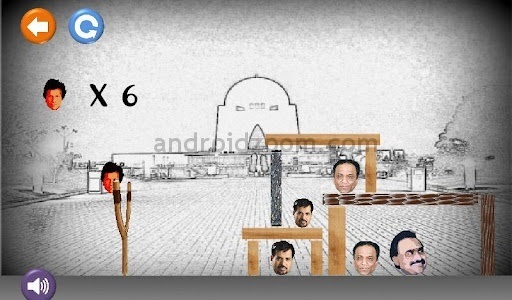 yes there is a political game named Angry Imran launched for Android Phones in the Google Play Store. The game is similar to popular game Angry birds. the difference is that in Angry Imran you hit Imran Khan's head to different Pakistani politicians and in background different Pakistani cities appears. There are 5 levels in Angry Imran and in every level you have to hit Imran's head to leaders of different political parties to cross that level. in the background different cities of Pakistan like Karachi, Lahore, Islamabad will appear. Whenever you will cross a level you will hear voice of "Tabdeeli Aa Gai Hai" which means change has come. This game is made by a Pakistani student of Nust University. Until now game is in Beta Version which means we will see more improvements in it with time. For now its just available for Android but later on it will also be available for iOS. You Can Download this Game for free here.